At S & H Glenco Manufacturing, LLC, our screw machining services are flexible enough to serve a wide variety of industrial needs. We are able to handle complex designs while providing precision, a cost-effective approach, and a manufacturing solution that can handle large volume orders. We recently assisted a customer through the manufacture of an aluminum housing, to be used for automotive and aerospace applications. The customer required that the 0.714” long, 0.848” in diameter housing be made to high levels of precision while incorporating military-spec surface protection. 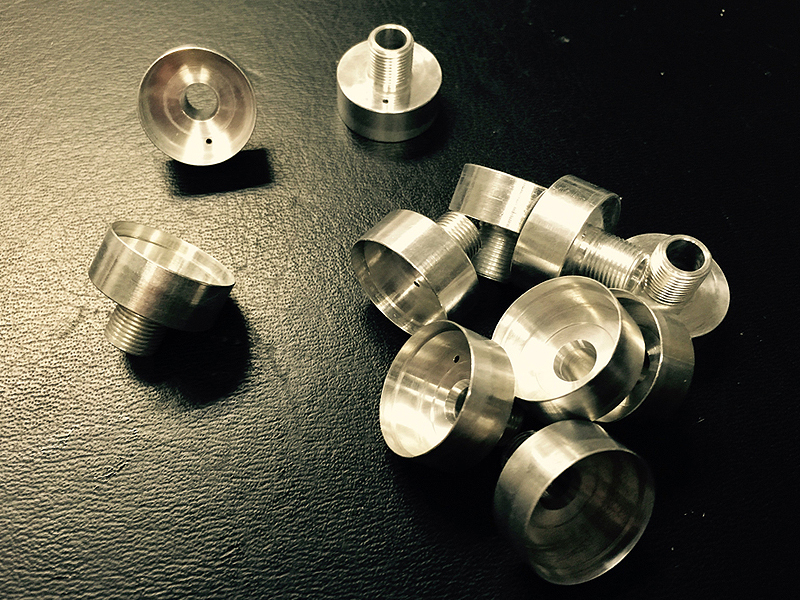 We used a combination of our screw machining process and deburring, anodization, inspection, and testing steps to render the final product. Screw machining of the housing, which was made of 2011 T3 aluminum, allowed us to achieve tolerances of ±.005”. An anodization process, imparting an ultrathin protective coating per MIL-A-8625, Type II Class 1, let us protect the housing without throwing dimensions out-of-spec while satisfying the customer’s protection requirements. We fabricated 120,000 examples of this housing for the customer, stretched over a short 6-week lead time. Few other precision manufacturers are able to deliver the same level of volume while maintaining high consistency. Our screw machining approach lets us provide exactly that. For more information about our services, see the table below and contact us directly.